The Last Ship is a new musical with music and lyrics by 16 time Grammy winner Sting, and book by Tony winner John Logan and Puliter Prize-winner Brian Yorkey. Directed by Tony winner Joe Mantello, choreography by Olivier Award winner and Tony nominee Steven Hoggett, set and costume design by Tony nominee David Zinn; lighting design by Tony winner Christopher Akerlind and sound design by Tony winner Brian Ronan it will begin previews on Broadway at the Neil Simon on September 30th prior to opening night on October 26th. This will be following a pre-Broadway try out from June 10th to July 13th in Chicago at Bank of America Theatre. . This is Sting's musical theatre debut on Broadway with principal roles being played by our very own Rachel Tucker and Sally Ann Triplett with Jimmy Nail, Michael Esper, Aaron Lazar, Collin Kelly-Sordelet and Fred Applegate. Ensemble casting still to be announced. The Last Ship is inspired by Sting's childhood set in the English seafaring town of Wallsend in a local community where life has always revolved around the local shipyard with men constructing vessels with tremendous pride. Gideon Fletcher dreams of a different future and leaves to travel the world leaving his life behind. When he returns home 14 years later the shipyard's future is in danger and his childhood sweetheart is set to marry someone else. As the men of Wallsend take their future into their own hands Gideon realizes that he left behind more than he could have ever imagined. 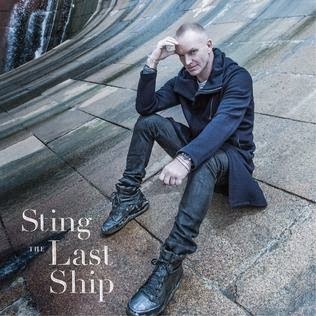 You can hear Sting and his band in Concert performing a sampler of songs from The Last Ship here.